Raz's Midnight Macabre: You're So Cool, Brewster! The Story of Fright Night Documentary Needs Your Help! You're So Cool, Brewster! 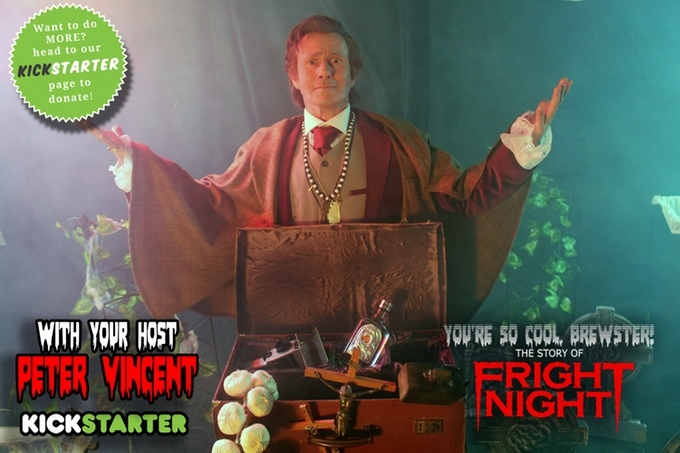 The Story of Fright Night Documentary Needs Your Help! I'm a huge fan of "Fright Night" and seriously can't wait to see this documentary on the classic film. 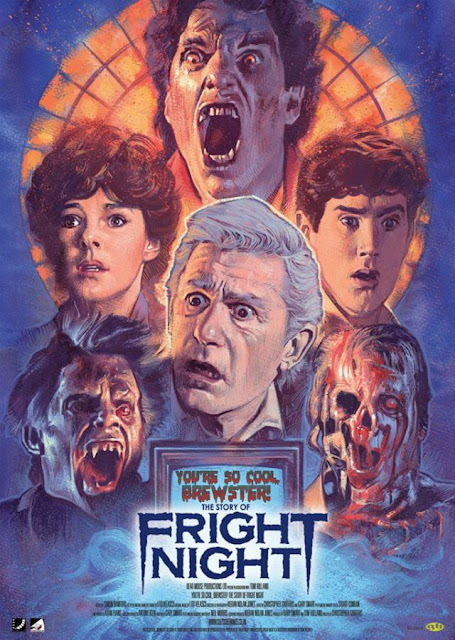 "The Story of Fright Night" will feature detailed interviews with those who helped shape and create this much loved movie. Guided by Tom Holland the makers of this new documentary will raise the stakes and unearth the behind the scenes stories including footage and images from Tom's personal archives. Fully supported and produced by original "Fright Night" writer and director Tom Holland, this documentary is the ultimate insight into the making of this cult classic movie as well as a tribute to the late, great Roddy McDowall.